Descendants of mares and stallions brought to Australia by British settlers over 200 years ago, wild brumbies have survived the dry outback, snow-covered mountains and thick bushland regions. Australia is thought to have the largest population of wild horses in the world. 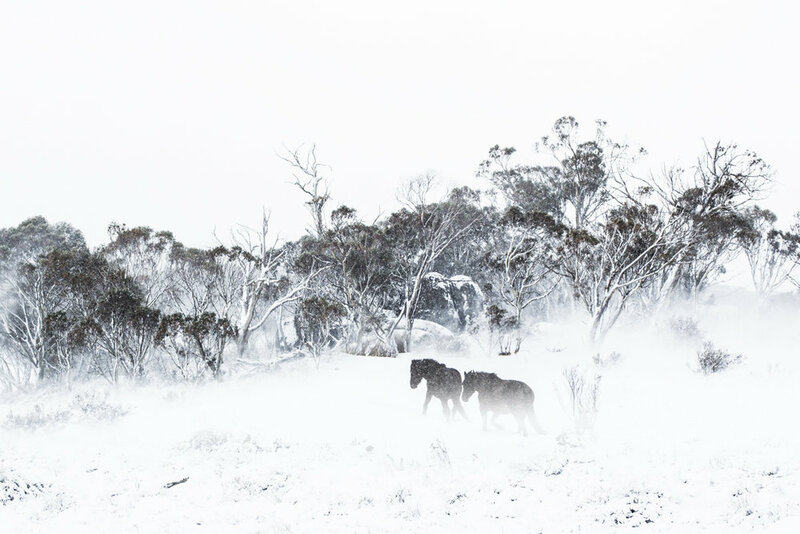 Until recently, however, the future of the brumby in the Snowy Mountains in NSW has been uncertain with the NSW government recommending a “wild horse management plan”. The plan aimed to cull 90% of the brumbies over the next 20 years in order to protect fragile alpine and sub-alpine environments. The issue is emotive and complex, dividing the community. In May of this year, these plans have been abandoned with recommendations that the horses be protected as part of the Australian Heritage. This has infuriated scientists and environmentalists who suggest these animals are doing severe environmental damage.